Theory's top is spun from a merino wool-blend that's ribbed and woven with a touch of stretch for a second-skin fit. 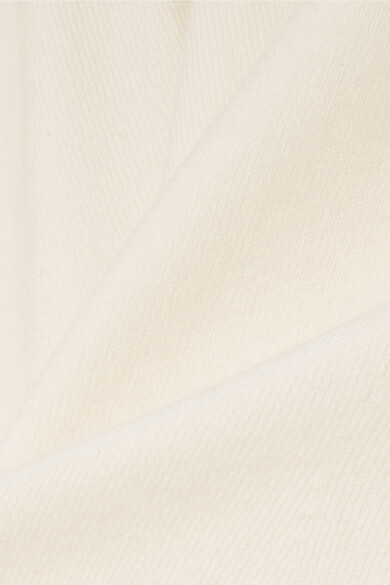 Its versatile cream hue means it will go with everything and is ideal for layering underneath shirts and dresses alike. Style yours tucked into tailored pants. 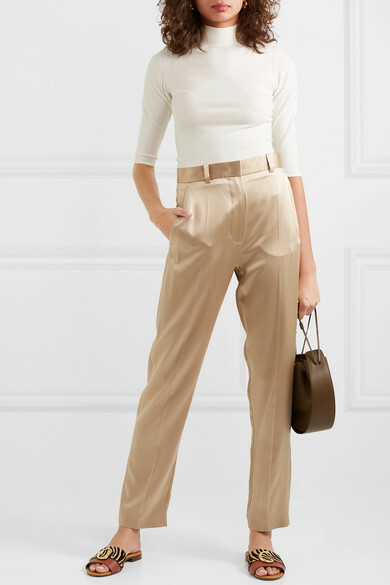 Shown here with: Joseph Pants, The Row Shoulder bag, Alexander Wang Mules, Chloé Slides, Sophie Buhai Earrings.